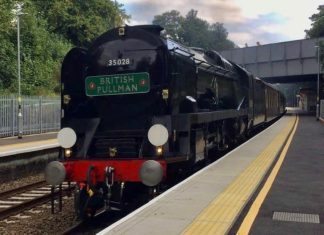 Steam locomotive in Shrewsbury this Sunday - where and when to see it! 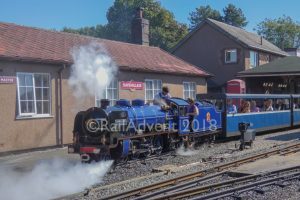 Steam locomotive in Shrewsbury this Sunday – where and when to see it! 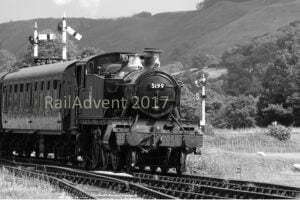 Steam locomotive No.70000 Britannia will be back in steam on the mainline and will be in Crewe and Shrewsbury on Sunday 2nd December 2018. 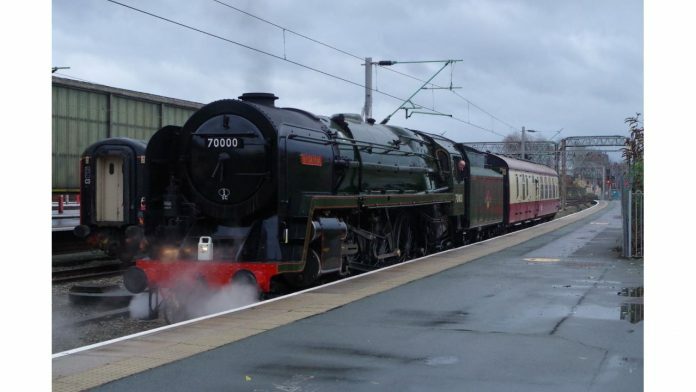 The Britannia locomotive is on a special rail tour from Crewe to Telford Central. The steam locomotive will depart the Crewe at approximately 11:34 am. The railtour will then leave the Crewe, bound for Telford Central, where it will steam through Beeston Castle (11:51), Chester (12:09), Wrexham General (12:23), Ruabon (12:28) and Chirk (12:34) before stopping at Shrewsbury at 13:00. After around a 7-minute break, the locomotive will depart Shrewsbury for Telford Central, where it will pass through Wellington (13:58) and Oakengates (14:02). 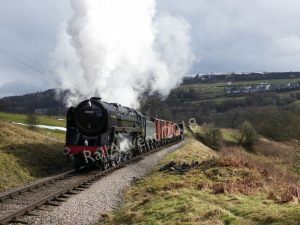 The steam locomotive will arrive at Telford Central at 14:04. Departing Telford Central at 14:25, the train will take a different route back to Crewe. The train will steam through Cosford (14:34), Bilbrook (14:40), Stafford (15:16) and Madeley (15:49) before arriving into Crewe at 16:01. 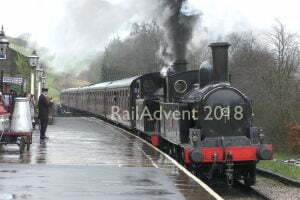 If you do go out and see 70000 Britannia, why not sign up to LocoStop, our brand new railway community, and share your photos from your adventures! Click here to sign up.